Forty years after premiering at the former Village Cinema complex in Bourke Street, what is striking about Mad Max – apart from the shocking violence, breathtaking stunts and iconic vehicles – is..
▶ Videos for "Bourke Street"
Thousands of students across major Australian took to the streets to take part in climate change protests on Friday, November 30. 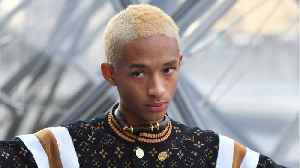 Students skipped school to highlight what they are calling..
CNN reports driver of a car which plowed into pedestrians on a busy street in central Melbourne in January 2017 has been found guilty of six counts of murder. 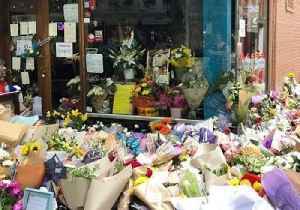 A jury in the Australian city deliberated..
Mountains of flowers and crowds of people filled Pellegrino’s Espresso Bar in Melbourne when the cafe reopened on Tuesday, November 13, after owner Sisto Malaspina was killed in a knife attack..
A man waving a knife was shot by police on Melbourne’s Bourke Street on Friday, November 9, shortly after a car explosion prompted police to lock down the street. 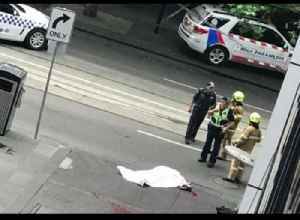 Victoria Police issued a..
Three people were stabbed, one fatally, following a car explosion in the Central Business District of Melbourne on November 9. 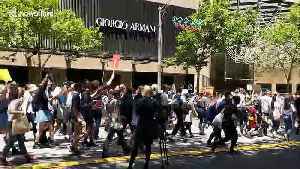 According to media, witnesses said they heard a loud explosion and saw..
Thousands of shoppers and pedestrians at Bourke Street, Melbourne, were held back by police after a car burst into flames and several people were stabbed in the popular shopping precinct. 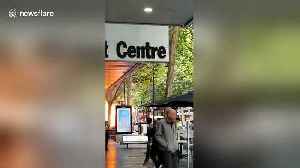 This video..
A crucial report on the actions of an elite police unit on the day of the deadly Bourke Street rampage in 2017 may never be made public during a coronial inquest. Bourke Street mass murderer James Gargasoulas has been trying to set up a social media account from inside prison in a bid to justify his actions and argue he should be released. Melbourne's Bourke Street killer James Gargasoulas has been jailed for at least 46 years but his victims' families say the sentence is "not harsh enough". Melbourne rampage killer James Gargasoulas was given six life sentences but will be eligible for parole in 2063, a jail term which some victims' families have called "not harsh enough". 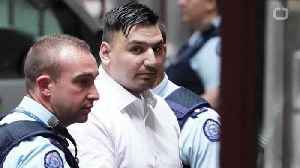 Melbourne rampage killer James Gargasoulas has been sentenced to life with a non-parole period of 46 years over the deaths of six pedestrians. 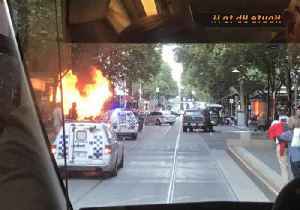 Bourke Street killer James Gargasoulas has been sentenced to life in prison with a non-parole period of 46 years for the Bourke St massacre. Melbourne rampage killer James Gargasoulas is set to learn his term of imprisonment for murdering six pedestrians and injuring dozens more. The bereaved loved ones of Melbourne's Bourke Street massacre have continued telling their stories in court ahead of the killer's sentencing. A barrister acting for Melbourne's Bourke Street killer James Gargasoulas says his client should one day be eligible for parole.